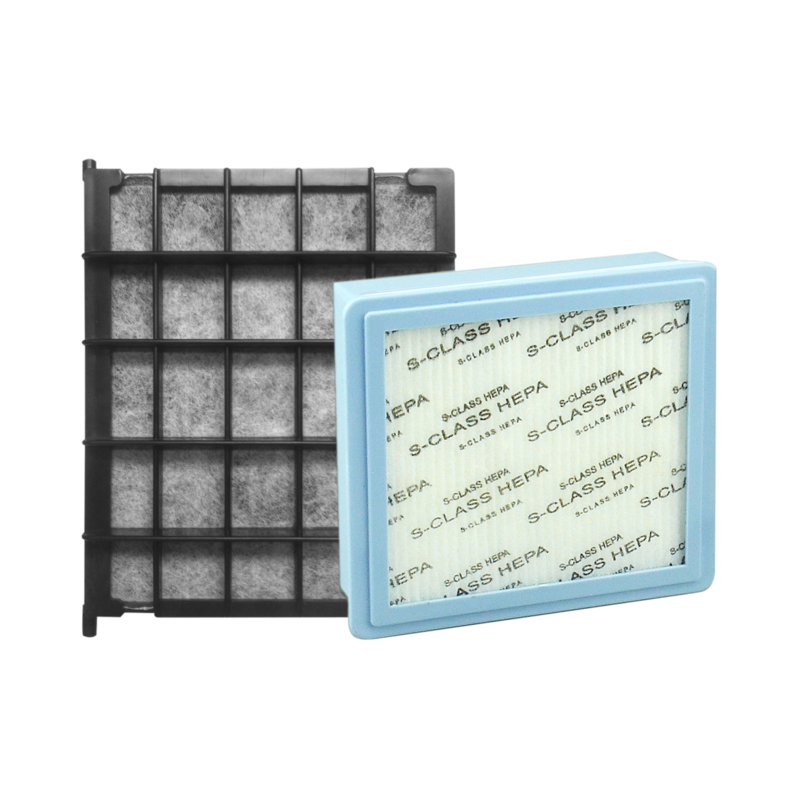 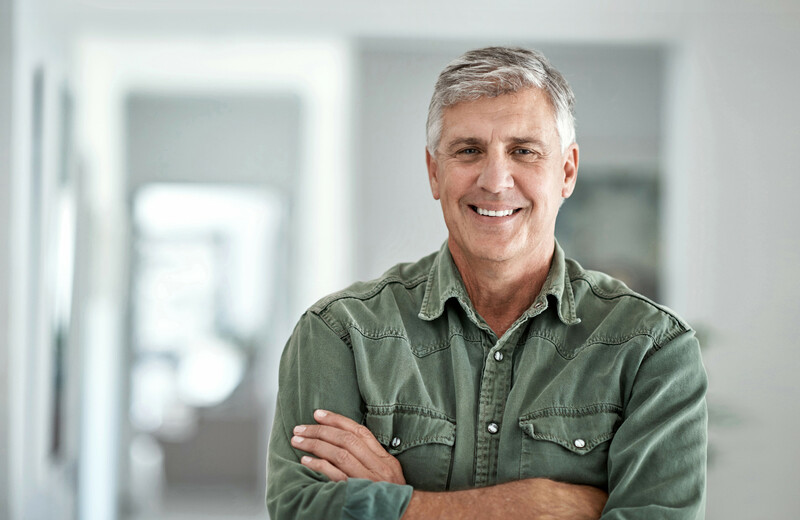 Riccar filters provide outstanding filtration of particulates and odors. 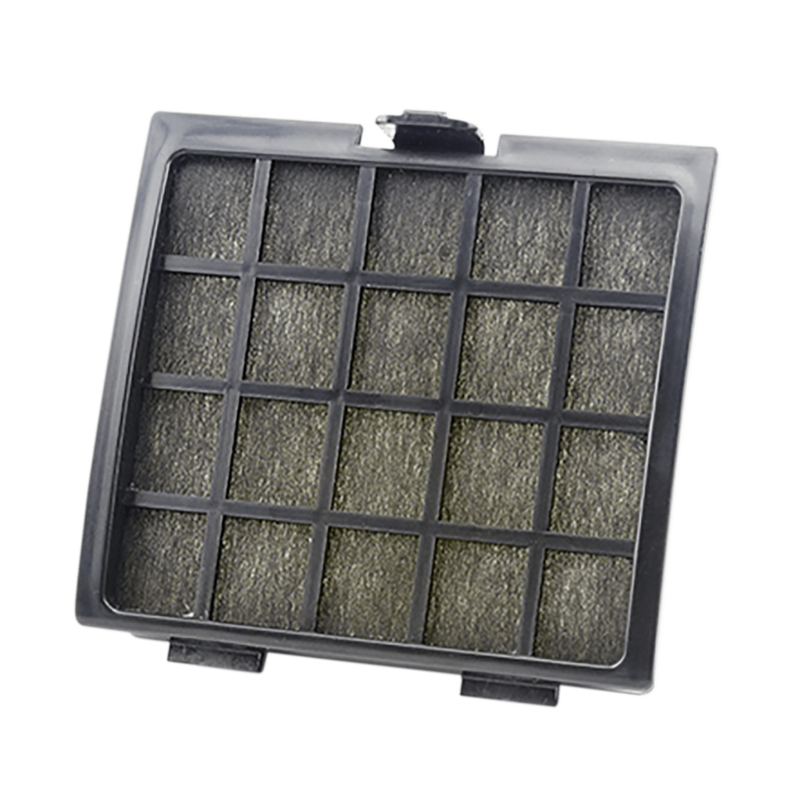 Remember to check or change filters every 12 vacuum bags or more frequently if you suffer from allergies. 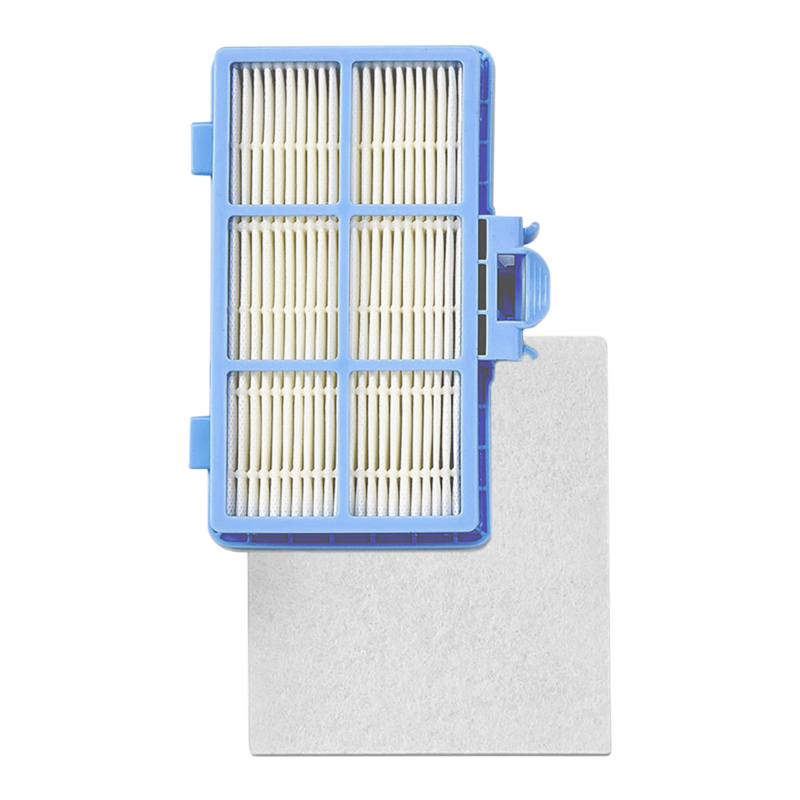 Filter set for the R60 broom vacuum. 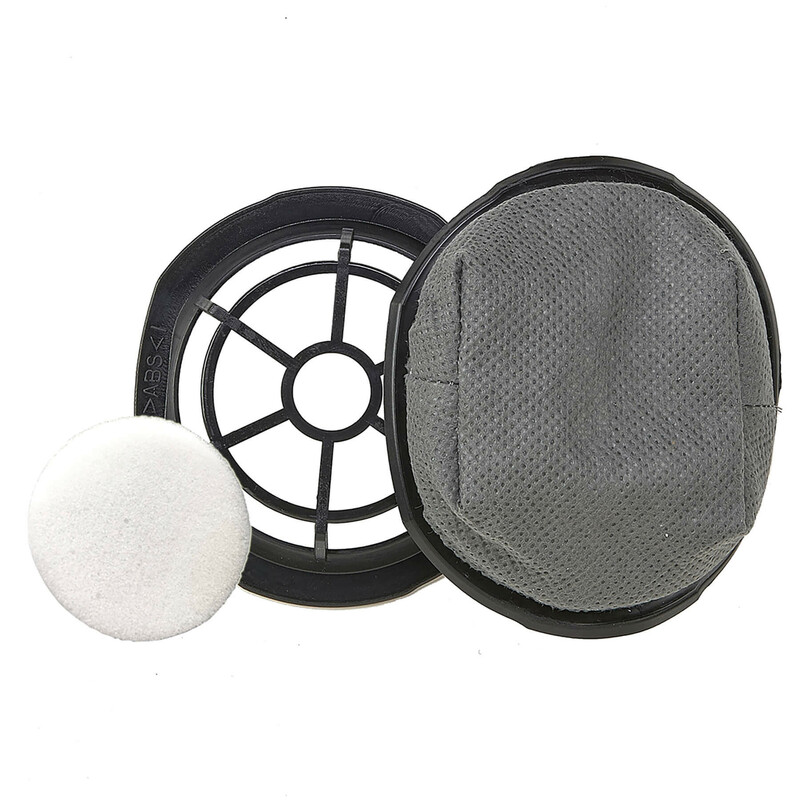 This filter set includes a HEPA media filter and foam filter for the Steward Broom Vacuum. 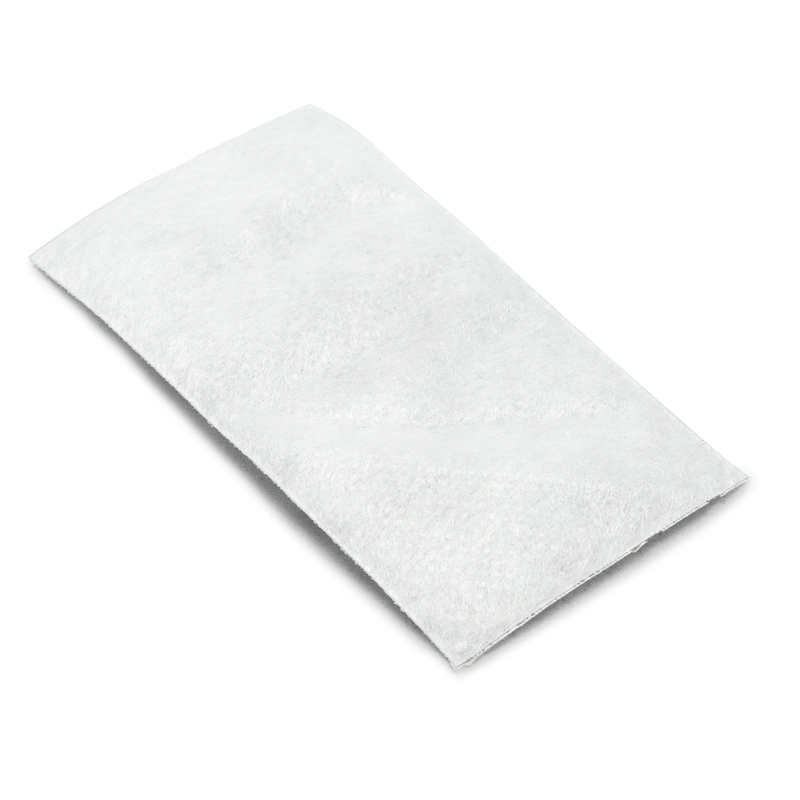 This washable foam secondary filter fits beneath the vacuum bag. 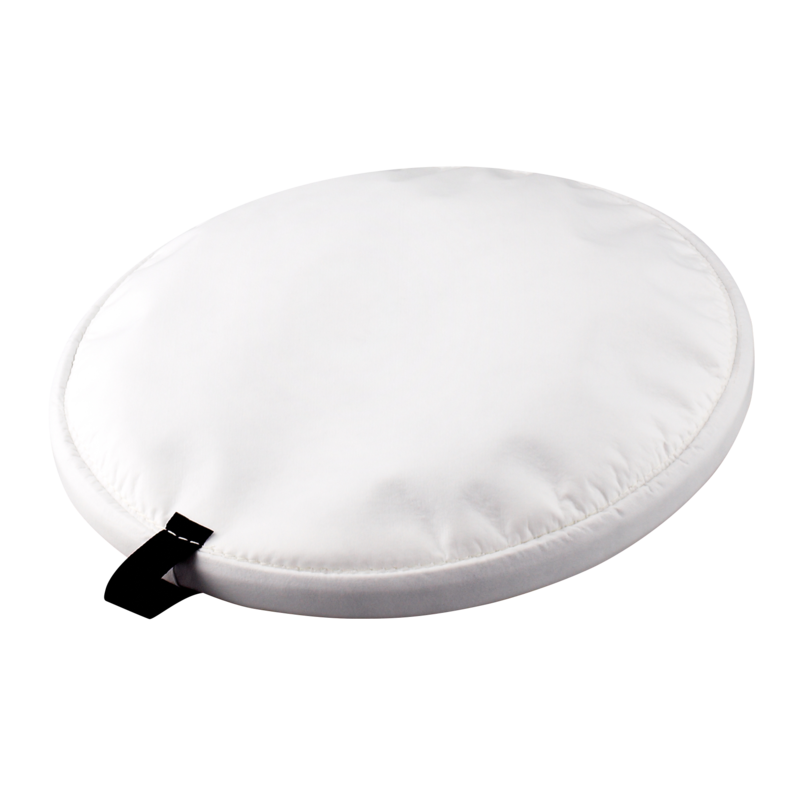 Help keep your Radiance R40 vacuum cleaning at its best and removing odors. 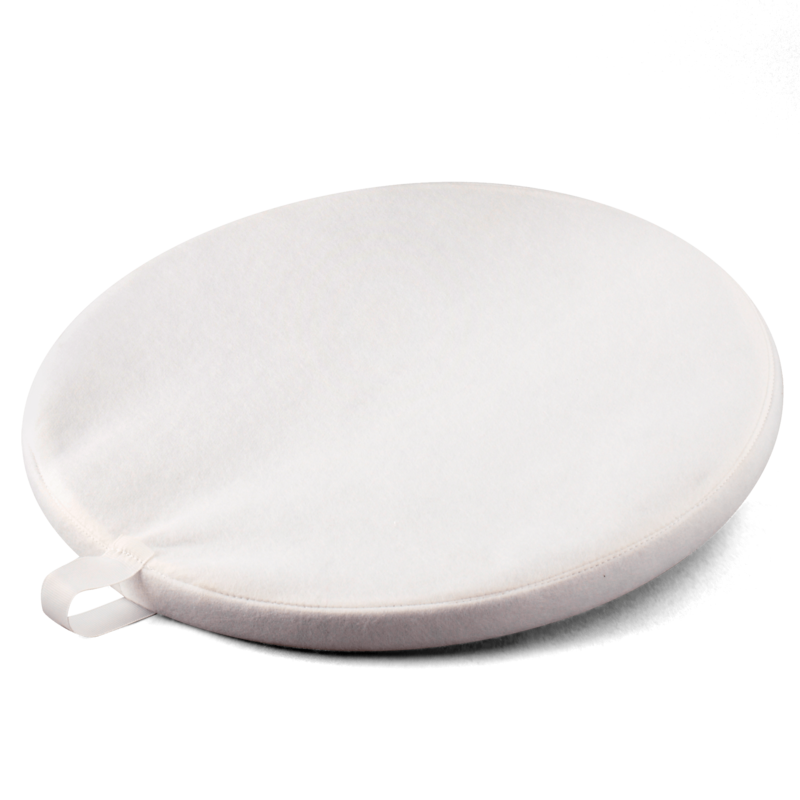 Help keep your Radiance R40 series vacuum cleaning at its best and removing odors with the highest quality filter replacements Riccar offers. 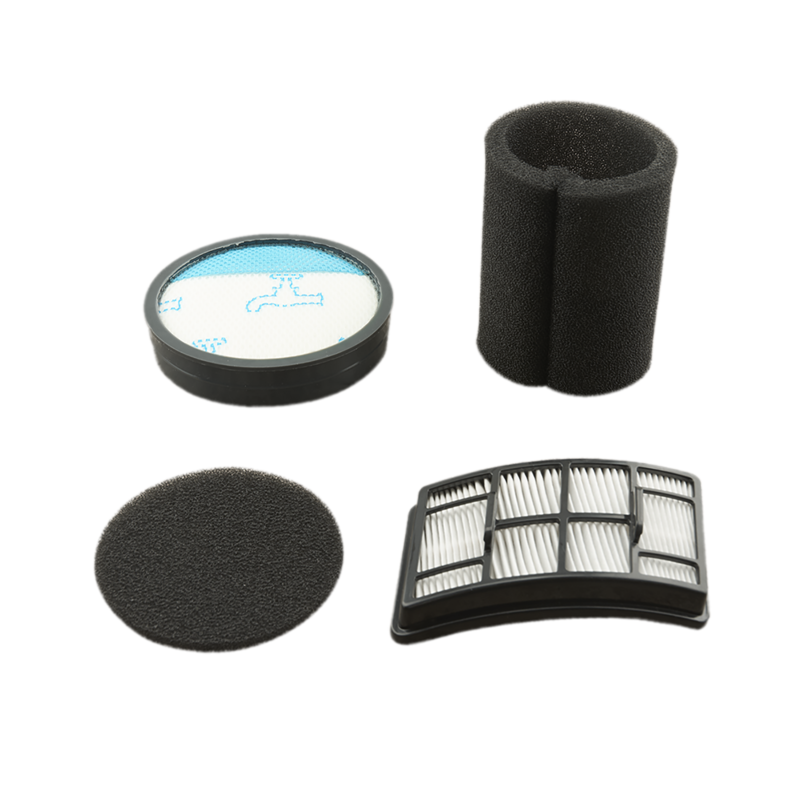 Comes with a foam post filter and a secondary filter. 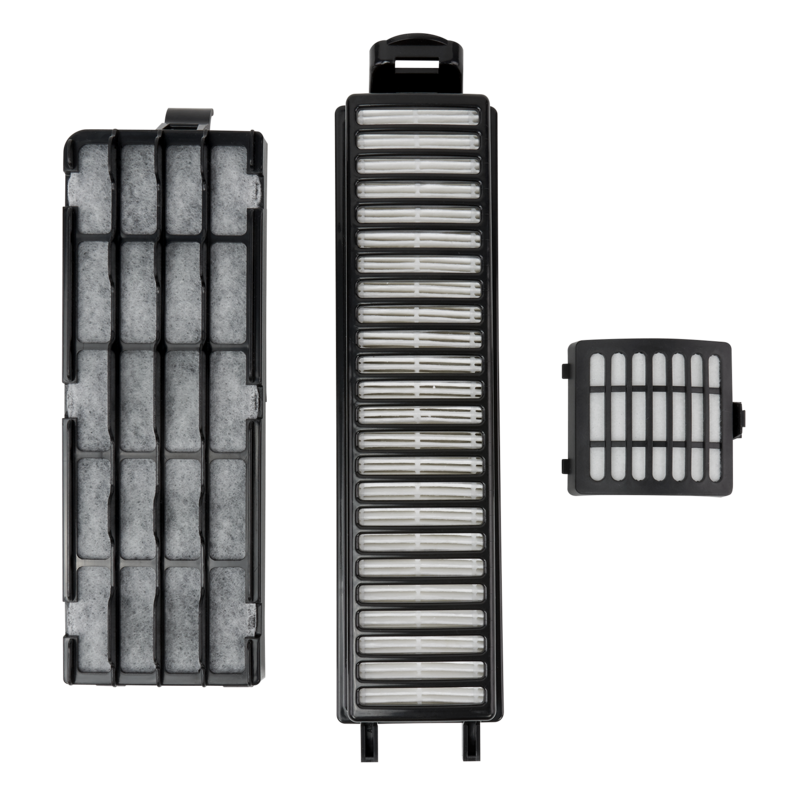 This filter set includes an S-Class HEPA media filter to trap particles and a premium granulated charcoal filter to trap odors. 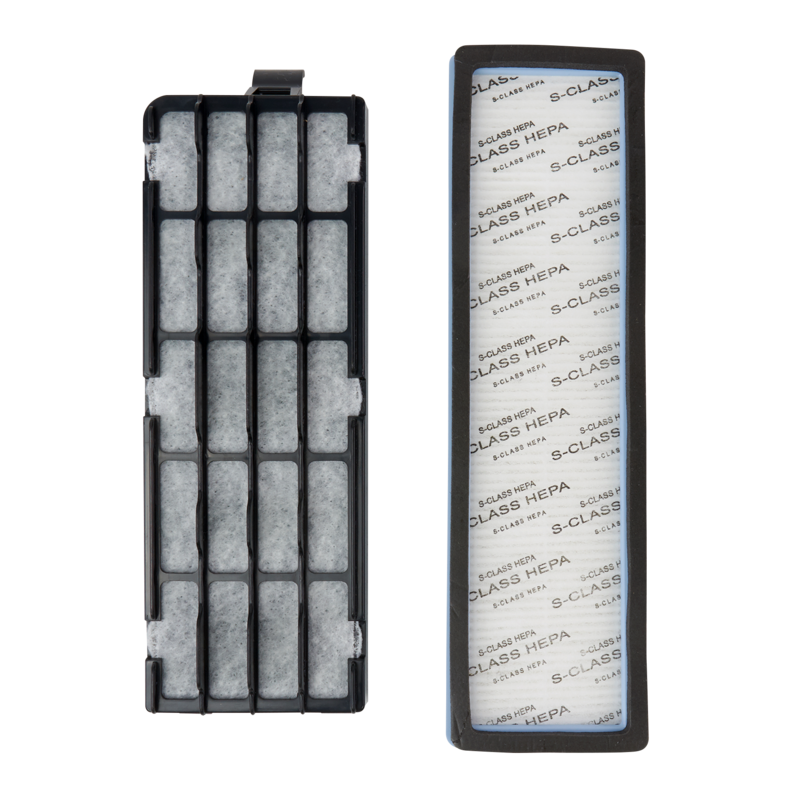 This replacement filter set fits the Riccar Immaculate and Impeccable canisters. 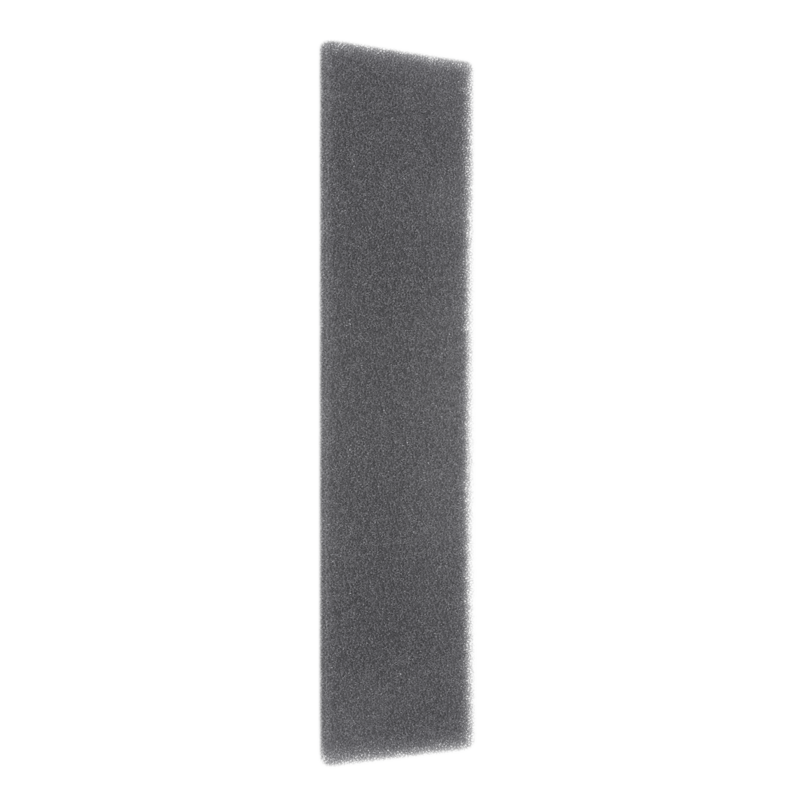 Foam post filter for the Vibrance Classic and Vibrance commercial vacuums. 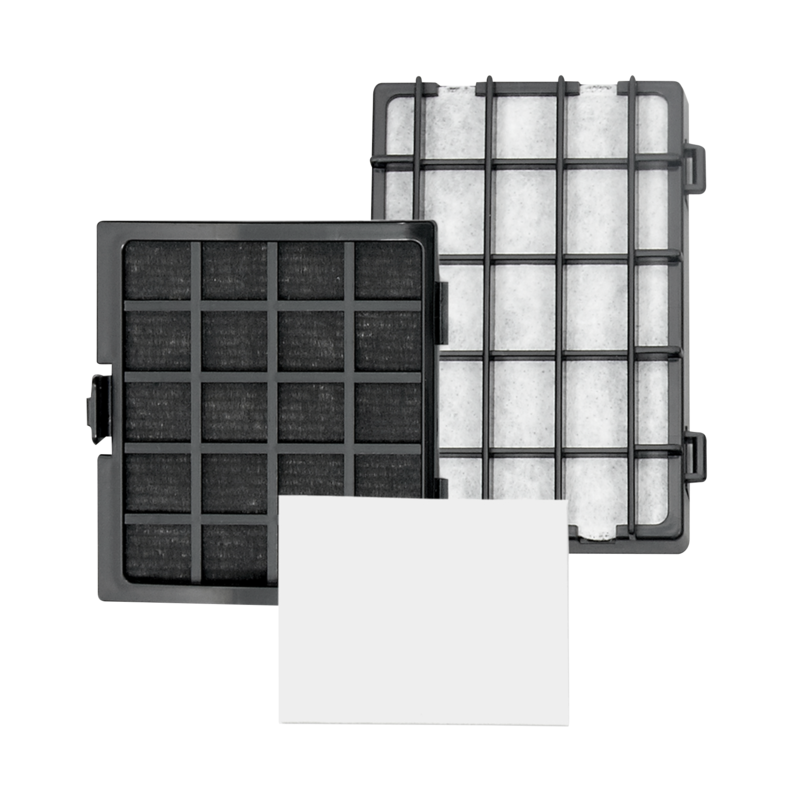 Includes a HEPA media filter, a charcoal filter, and a direct air motor filter. 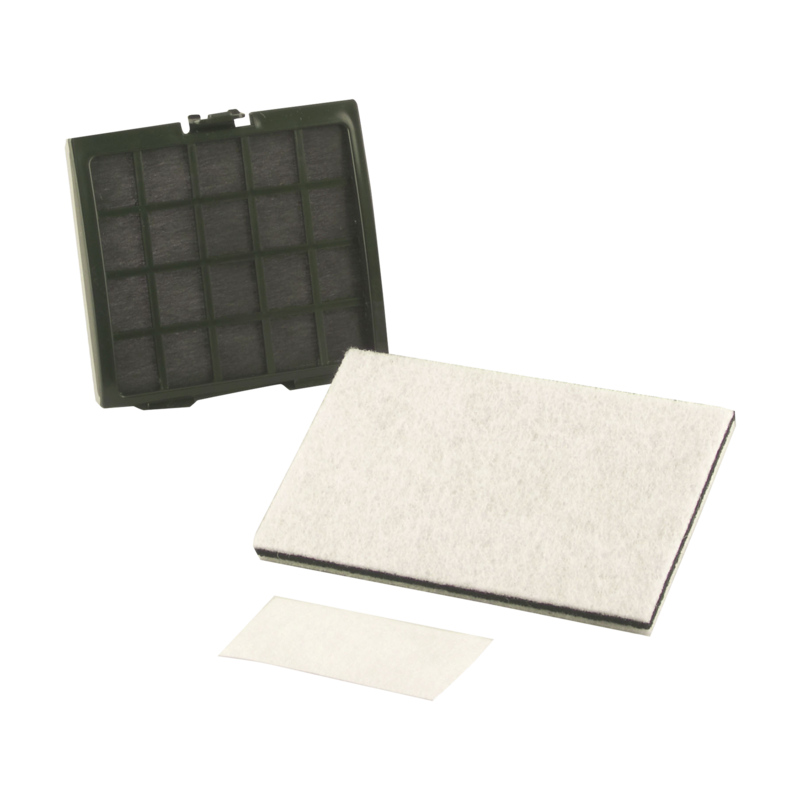 This filter fits the Riccar 2000 series. 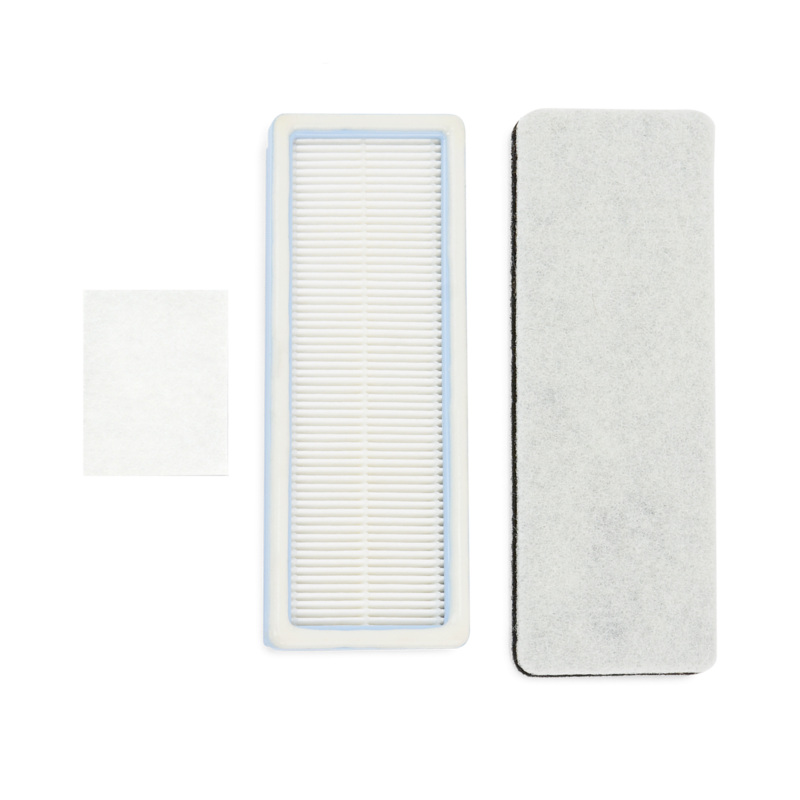 This replacement filter set includes the pleated HEPA media filter and a secondary filter. 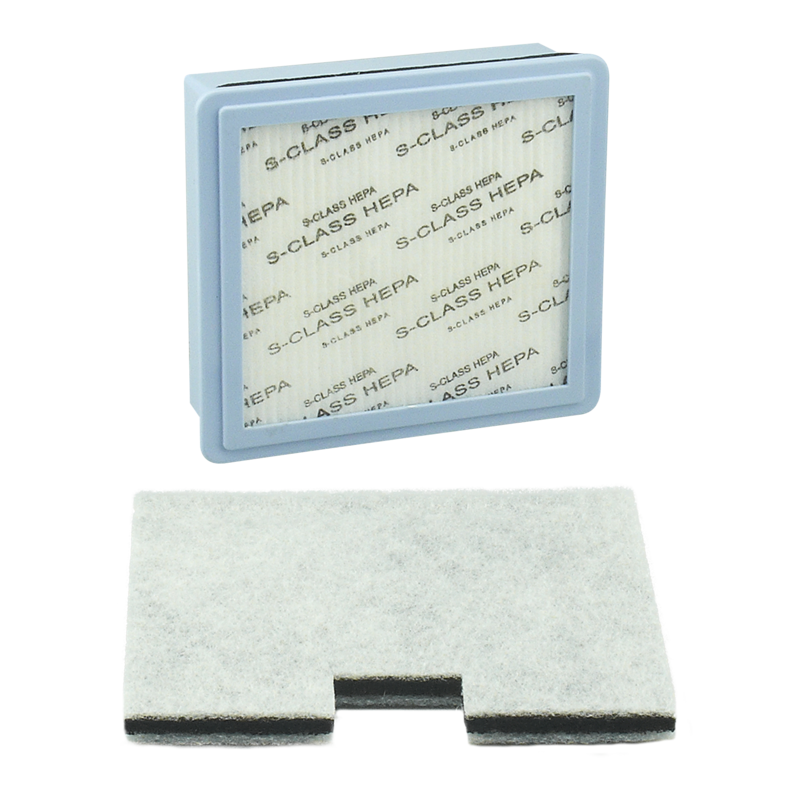 Help keep the Sunburst model SUN performing at its best by replacing the filters regularly. 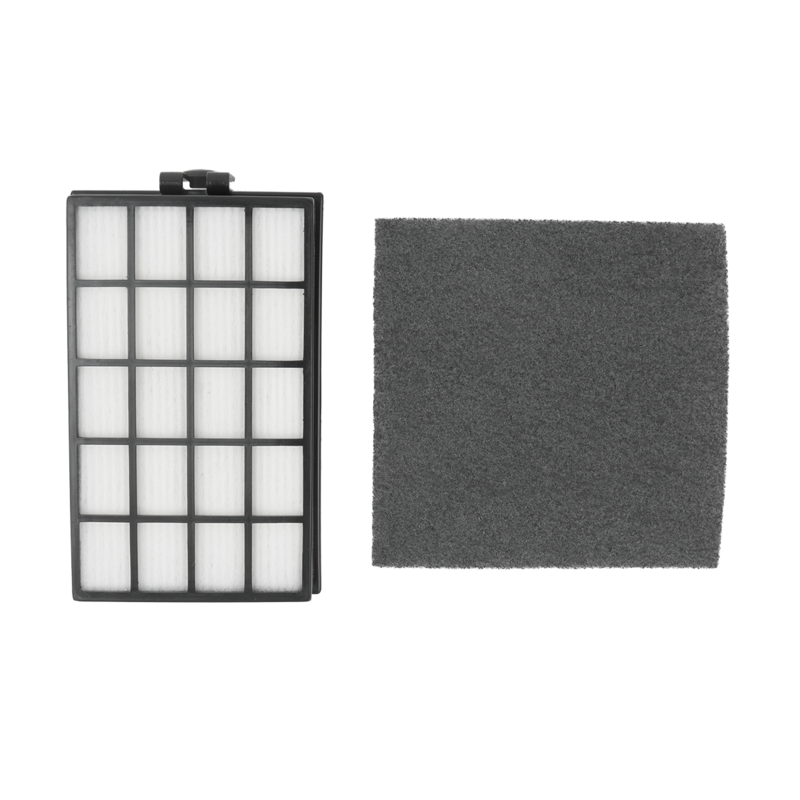 A pleated HEPA media and charcoal filter help keep your Vibrance in top operating condition. 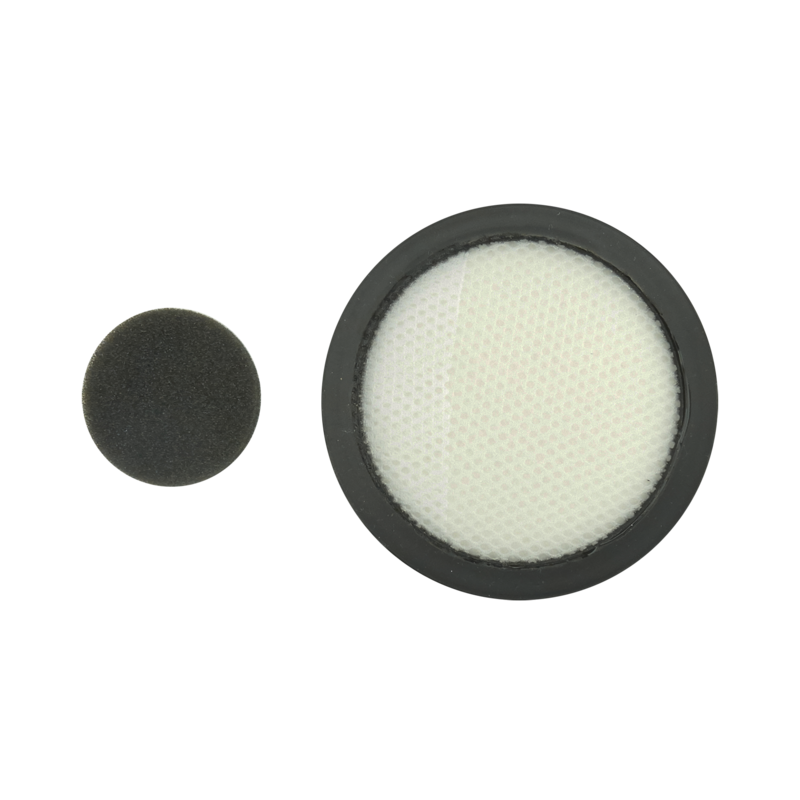 This electrostatic post filter set fits the Classic Body Vibrance upright models. 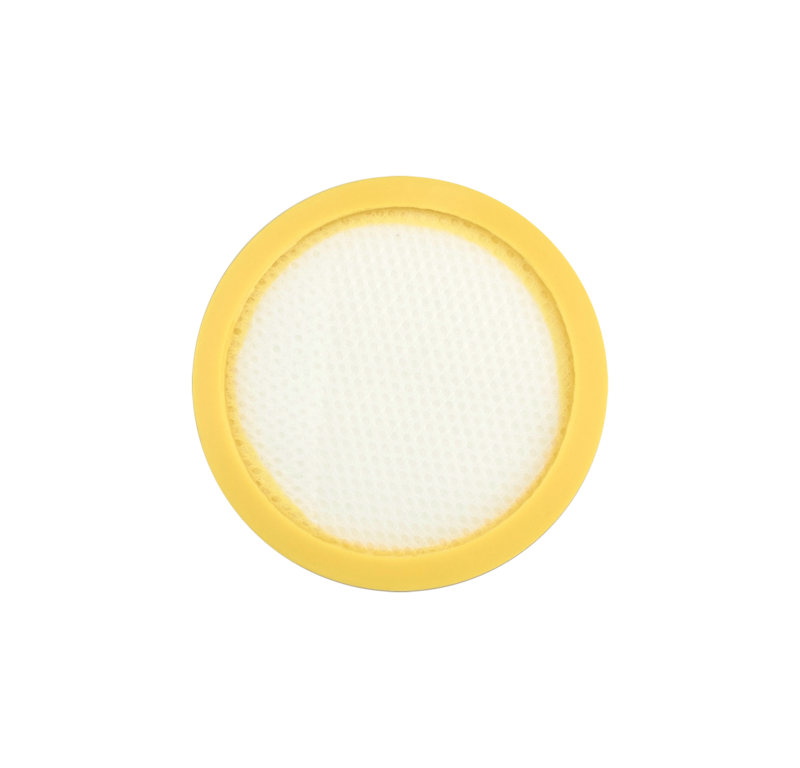 This filter set fits Premium Radiance model RADP. 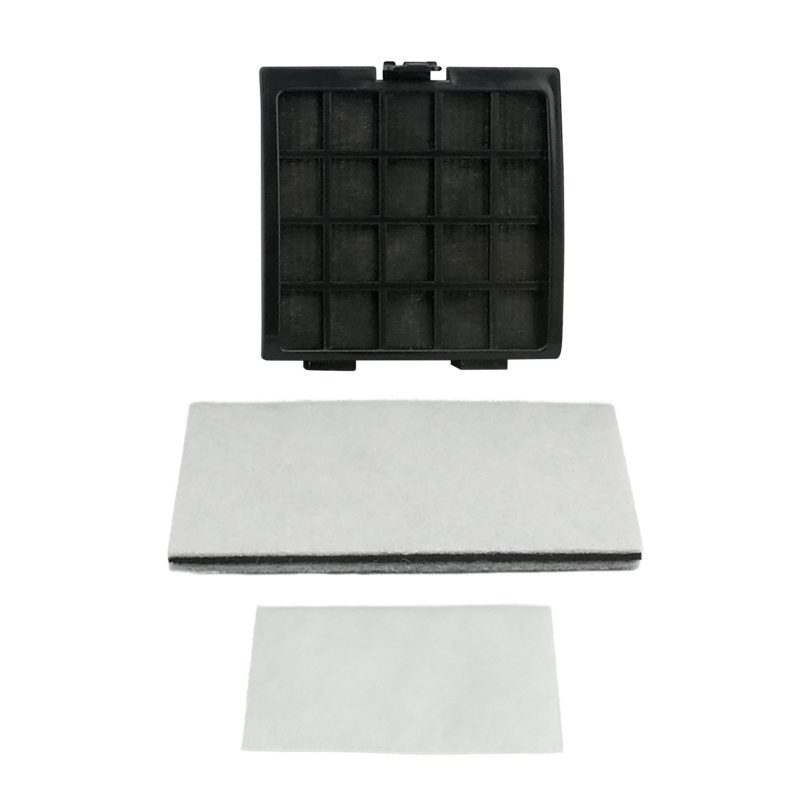 Includes a granulated charcoal filter and a direct air motor filter.  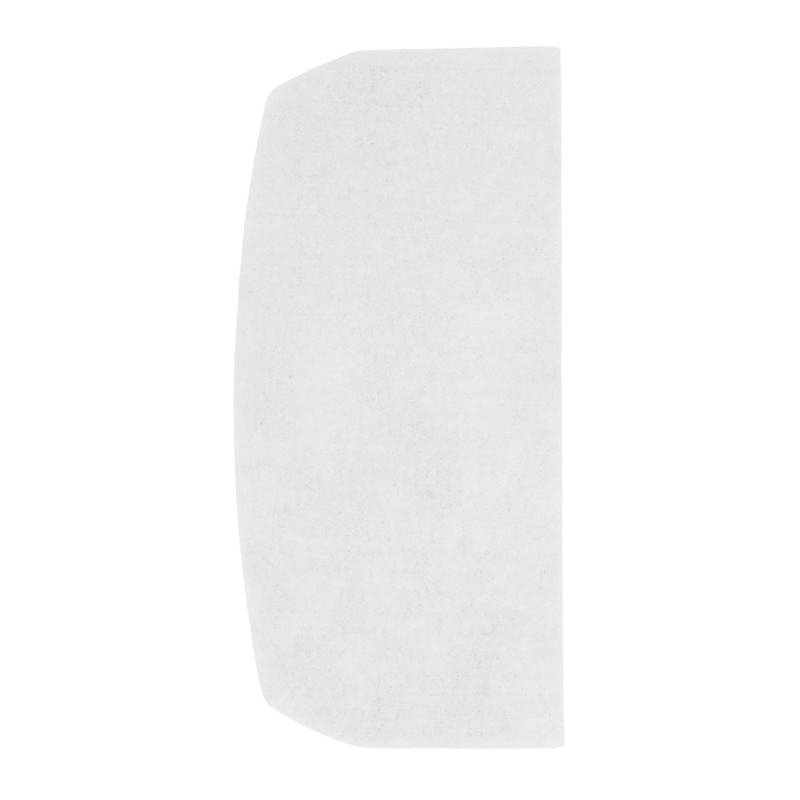 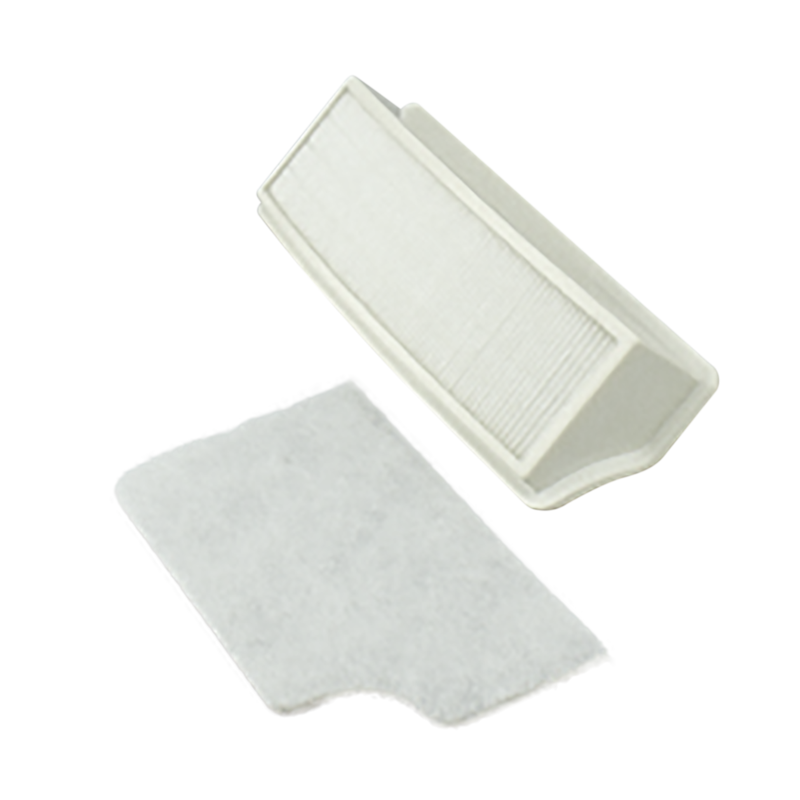 These Genuine 3M® Filtrete replacement filters fit the 8000 series. 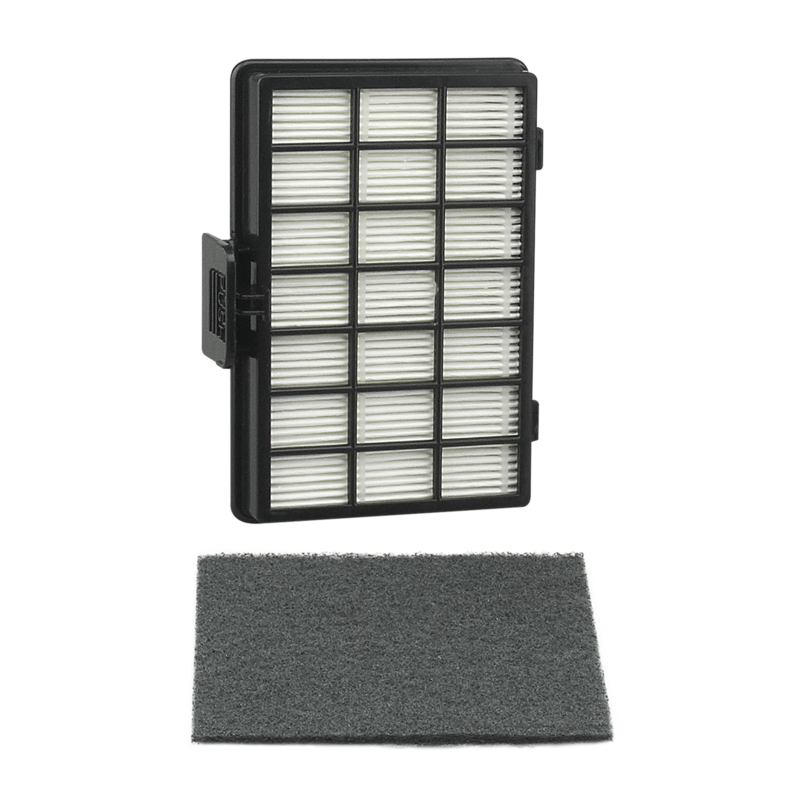 This filter set for the Brilliance Premium model BRLP includes HEPA media, electrostatic/charcoal and direct air motor filters. 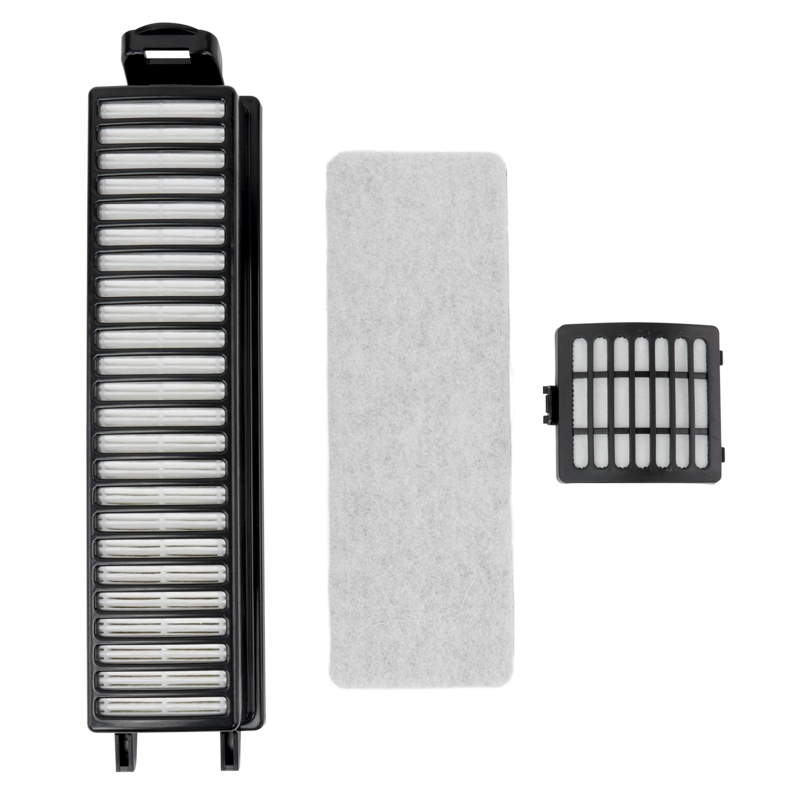 This filter set for the Brilliance Deluxe model BRLD includes an electrostatic/foam filter, an electrostatic/charcoal filter and a direct air motor filter. 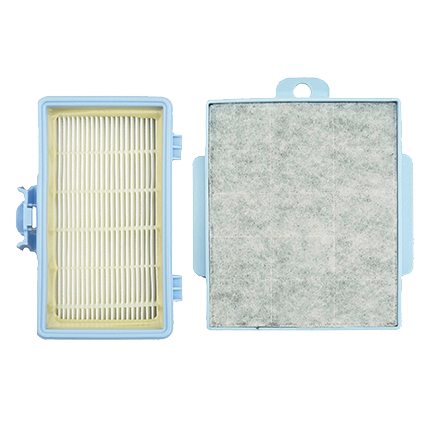 Help keep your Brilliance R30P and Retriever R30PET cleaning at their best with this replacement filter set. 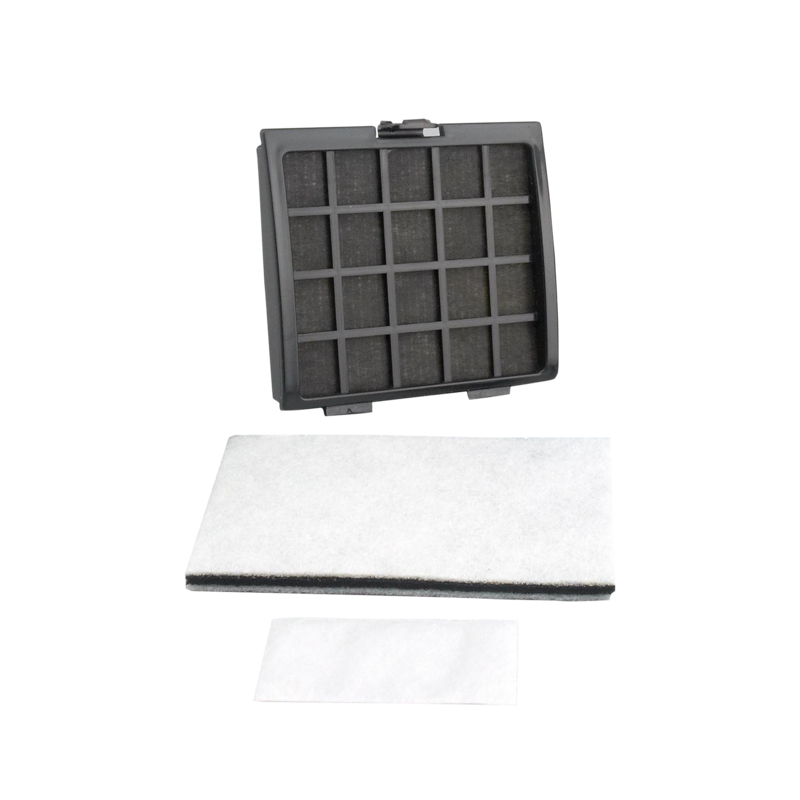 This filter set includes 1 HEPA media filter and 1 electrostatic filter. 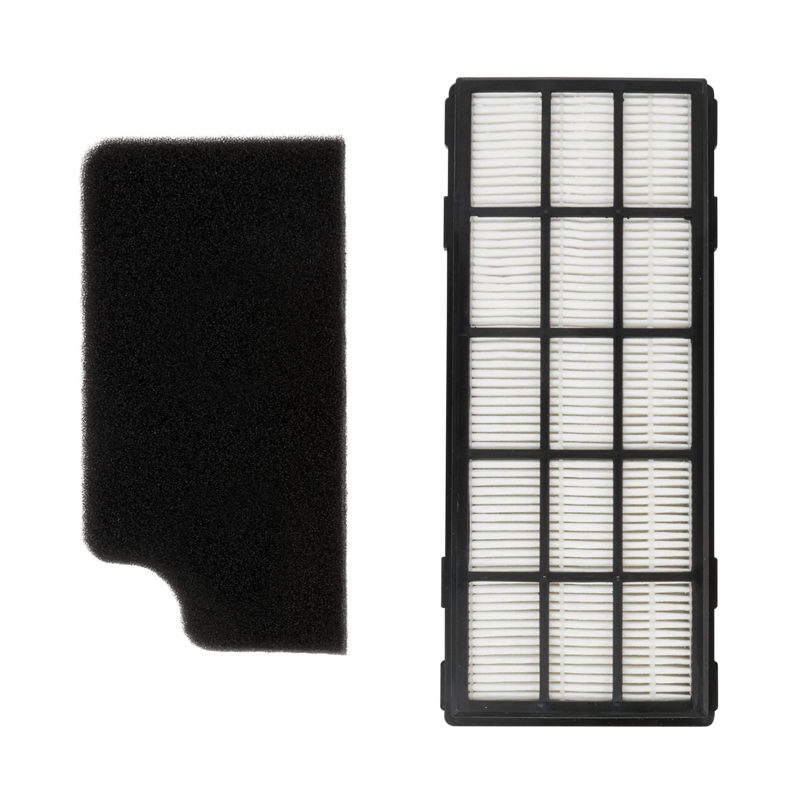 Capture odors and protect the motor in your SupraQuik with this charcoal filter. 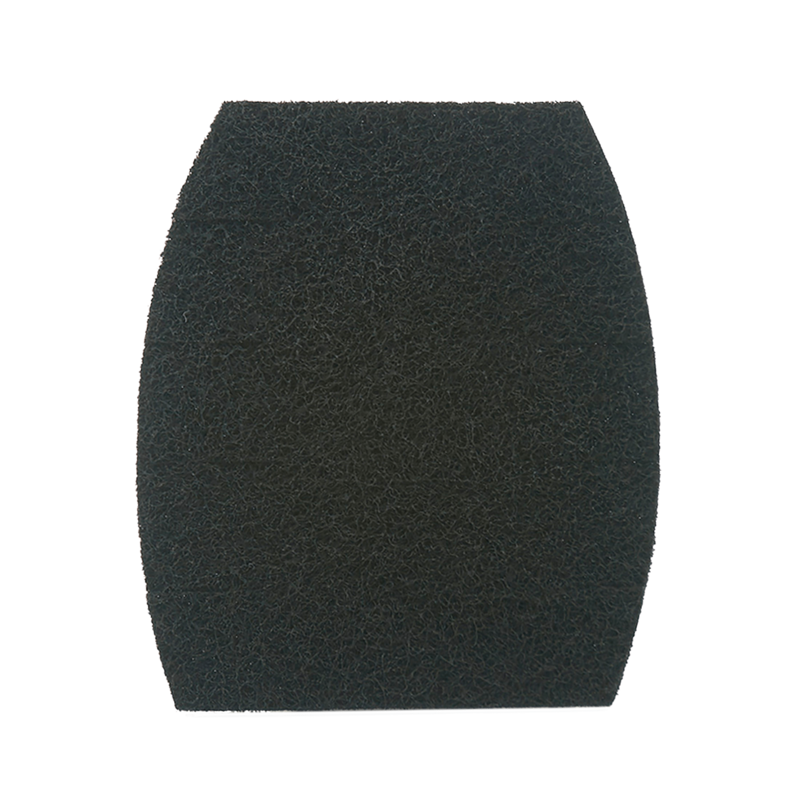 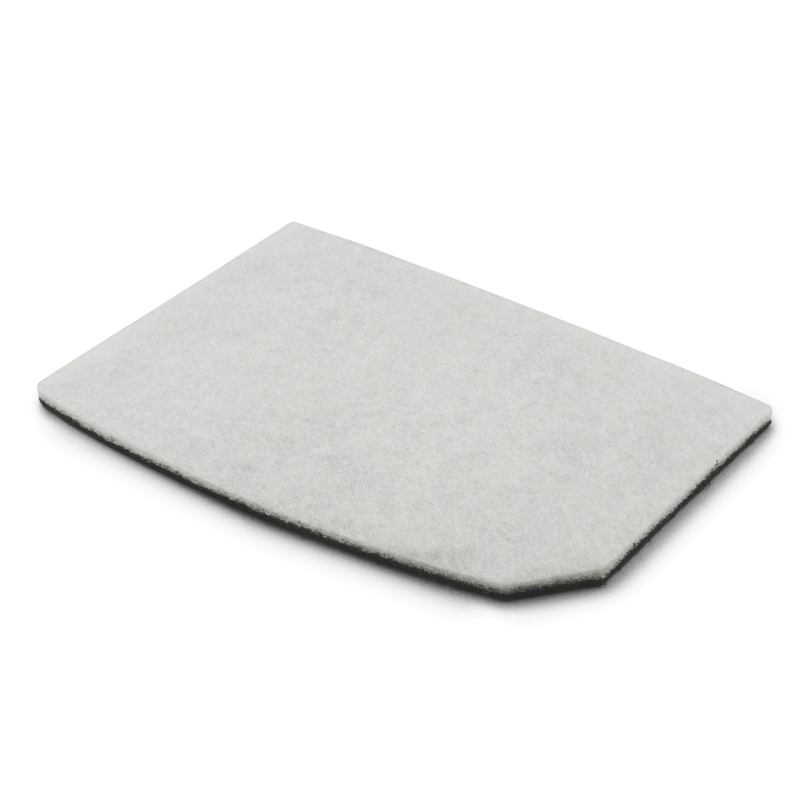 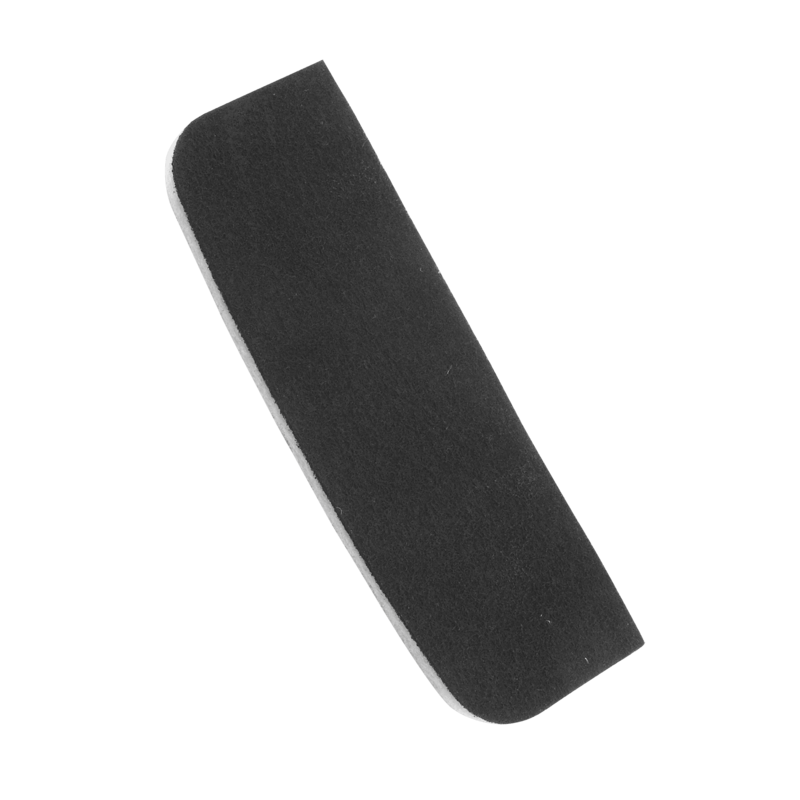  Freshen your Gem micro hand vacuum with this replacement dust cup and secondary foam filter. 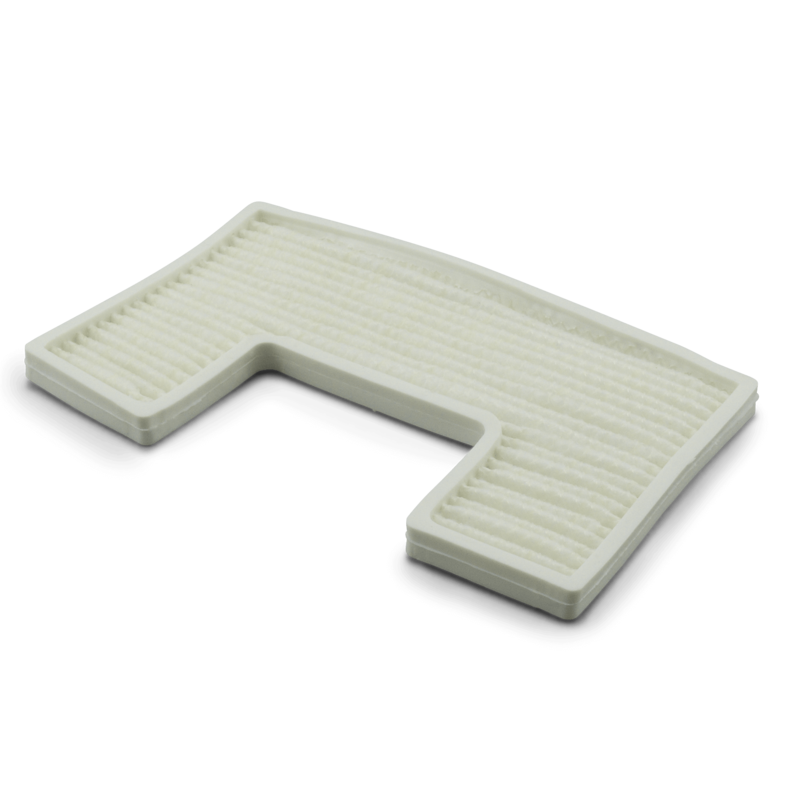 This filter for the Butler diffuses the air that blows out the exhaust while vacuuming. 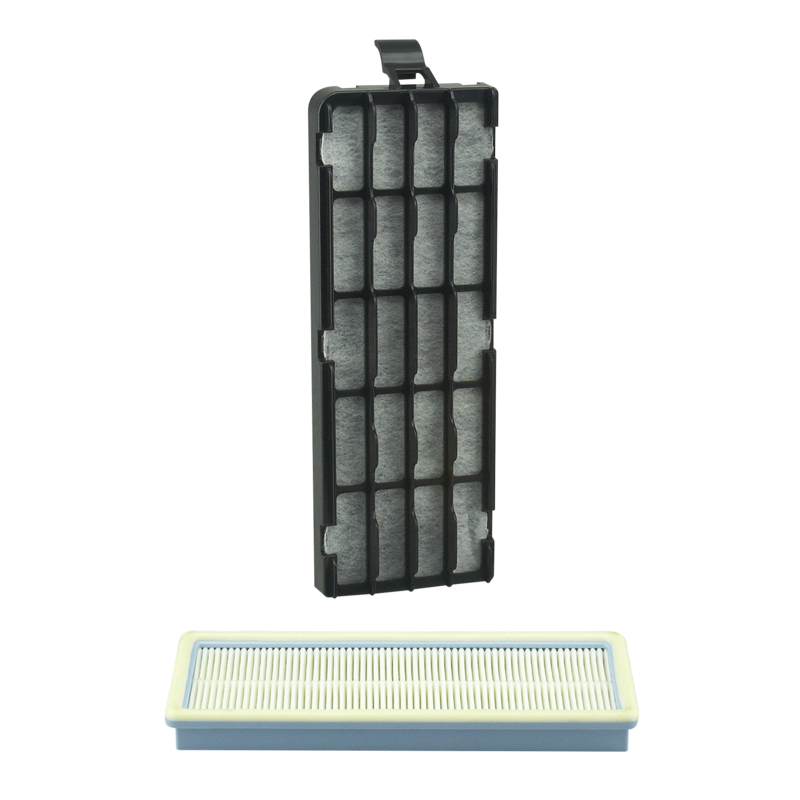 This filter fits Riccar bagged central vacuum units. 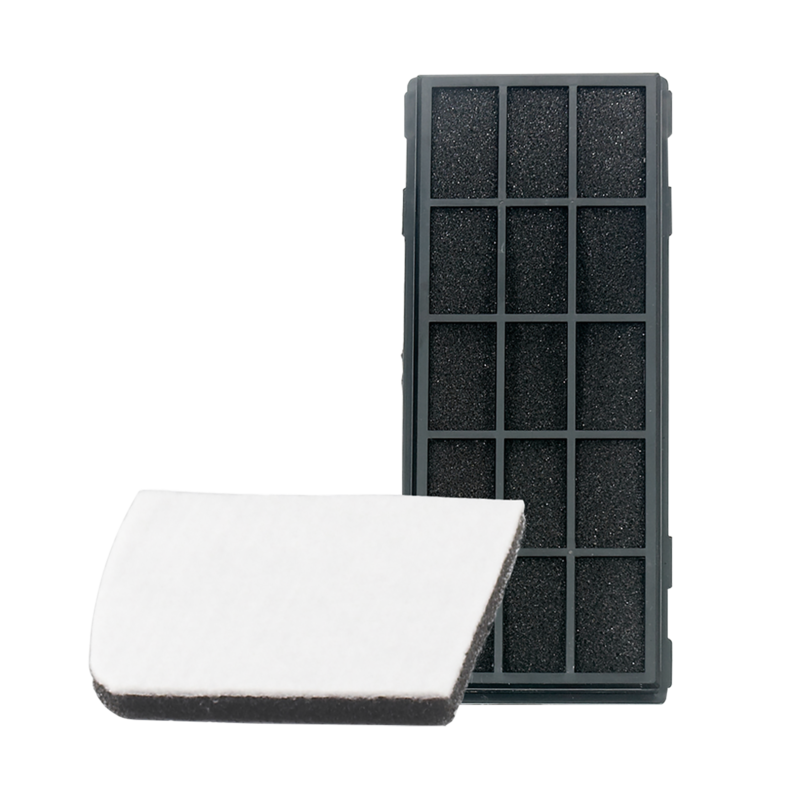 Capture vacuum odors with this charcoal filter for the 8000 Series uprights. 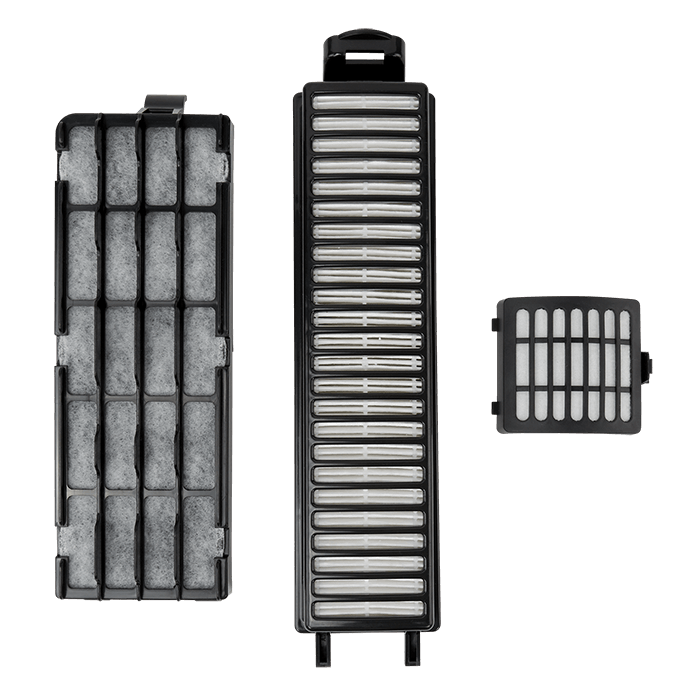 For 8000 Series uprights with tools, this charcoal filter capture vacuum odors. 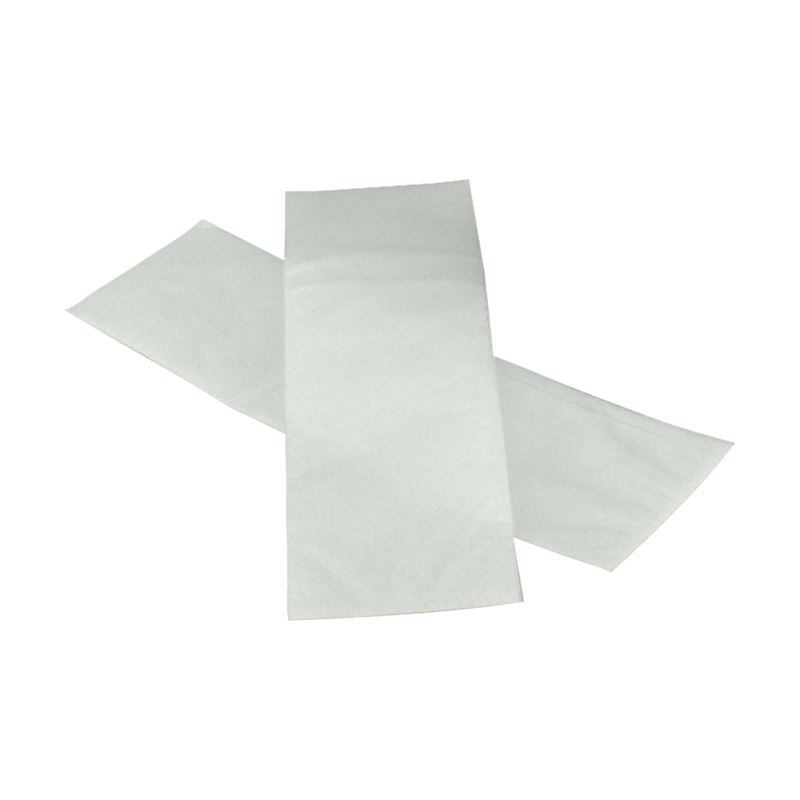 This filter fits the 4000 Series models. 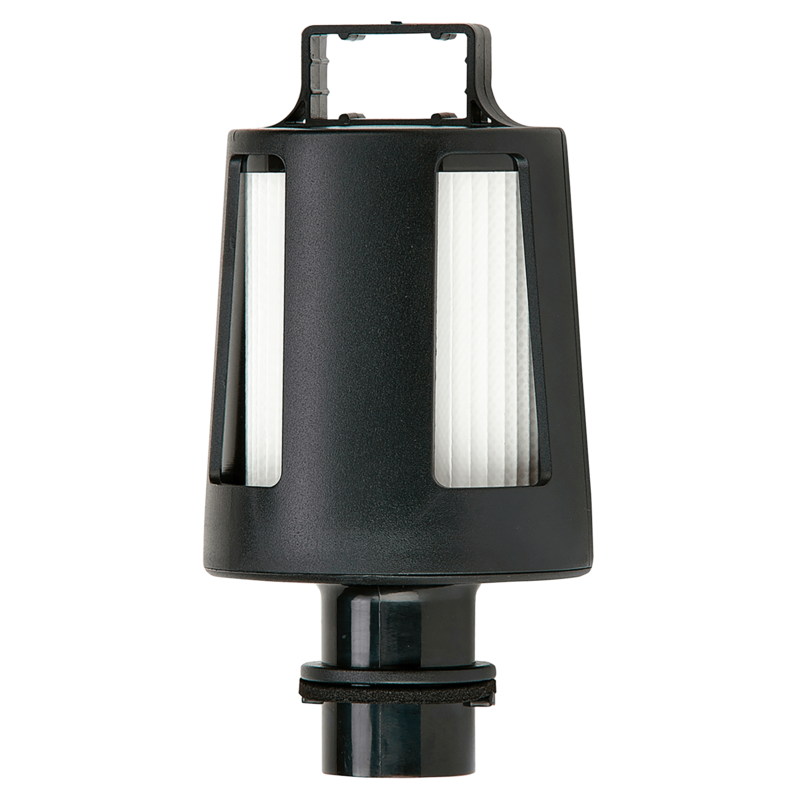 This filter fits the Riccar 8955 upright. 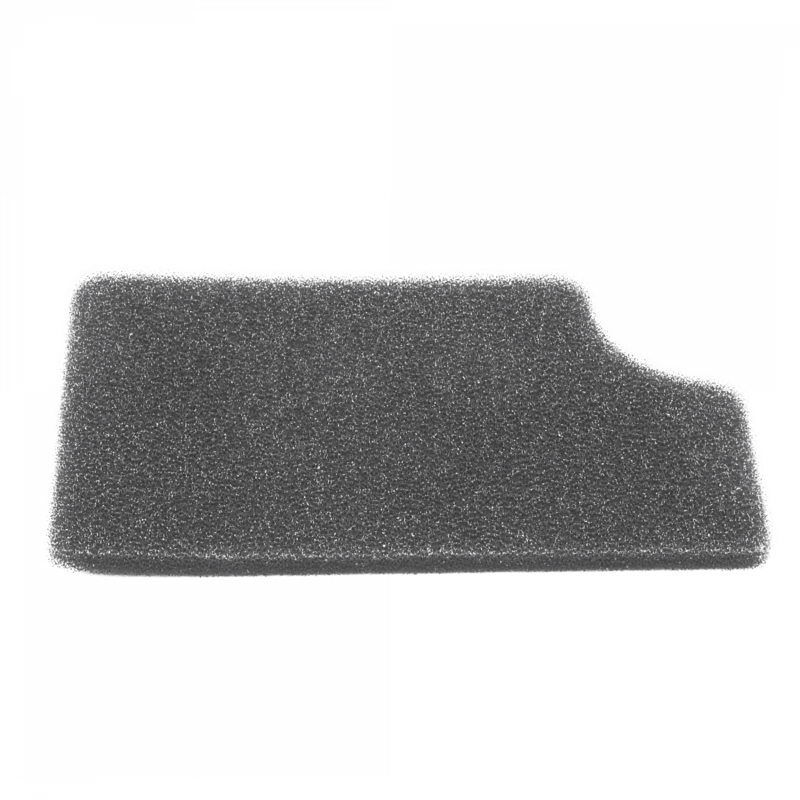 This filter fits the Brilliance Standard model without tools. 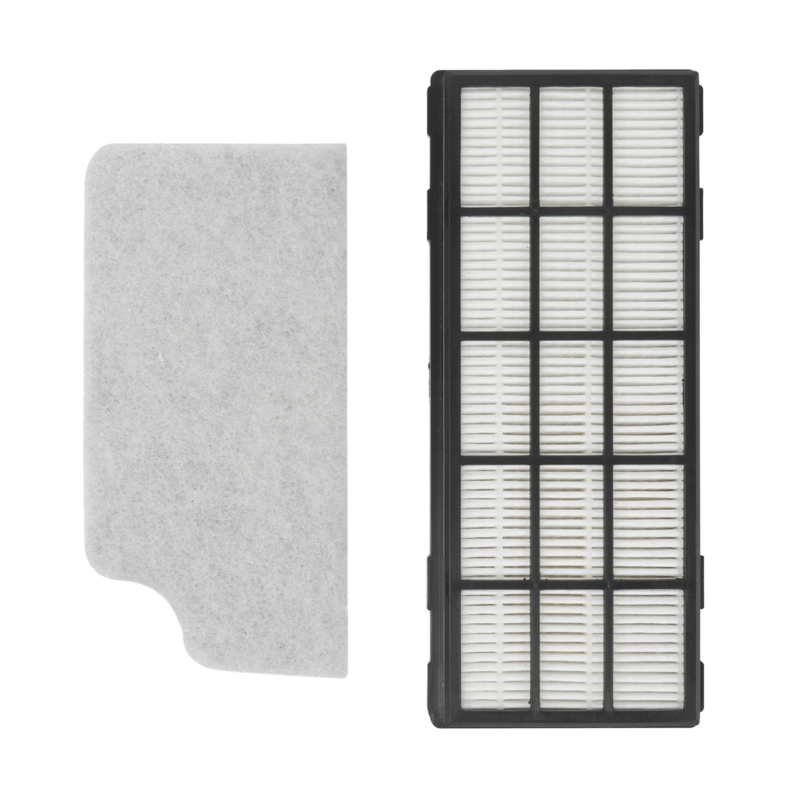 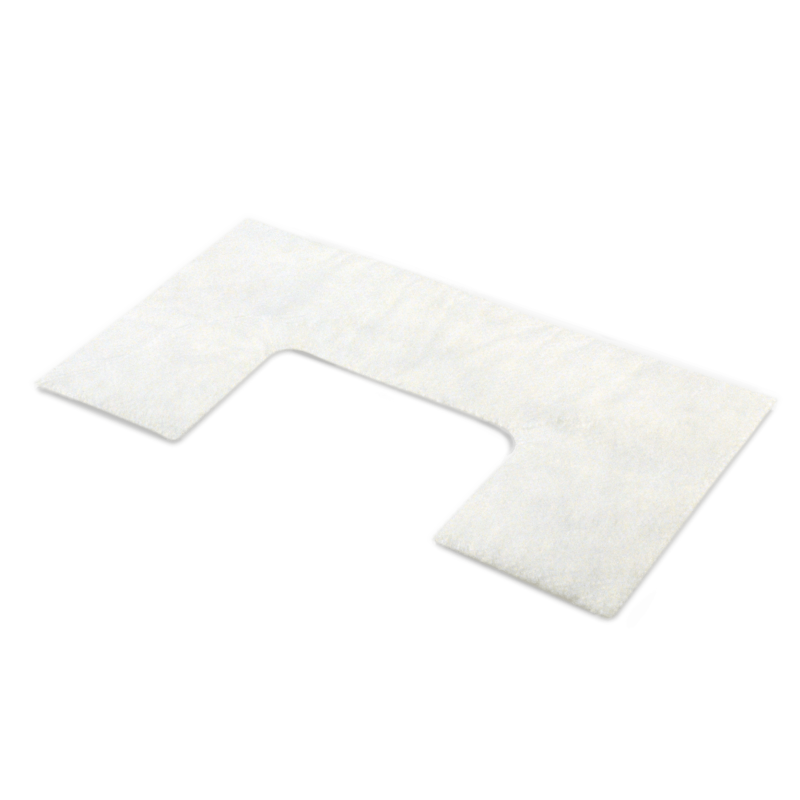 Protect the motor on your Brilliance Deluxe and Premium models with this electrostatic media motor filter.